How can companies hire the best talent that is not looking out for a job? Belong is banking on AI and big data to bring the best talent to companies. “Companies want to build great teams by hiring the best talent. But the best people don’t apply on job sites typically. So then how do you hire those people?” starts off Rishabh Kaul, co-founder of HRtech startup Belong, which was founded exactly to solve this problem. 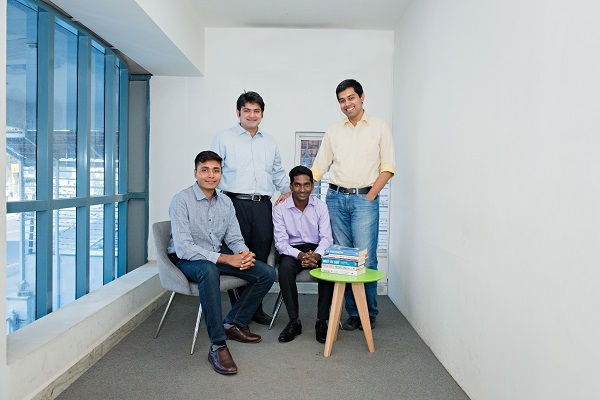 Founded in 2014 by Exotel co-founder Vijay Sharma, Sudheendra Chilappagari, Saiteja Veera, and Rishabh Kaul, the idea was simple- instead of the inbound approach to hiring which companies follow, Belong bet on outbound hiring to disrupt the hiring space. The predictive hiring startup aims to give companies the tools to help them reach out to the best people, making it a very personalized engagement. It provides outbound hiring Software-as-a-Service (SaaS) solution to companies. “The idea was to get people excited about a particular company,” says Rishabh. But how exactly does Belong do that? Recruiting has traditionally been an inbound process but what Belong is focusing on is outbound hiring. For this, what Belong is banking on is big data, AI, and predictive analytics for identifying the right candidates. The next step after identifying the best-fit candidates is engaging them. This is where the engagement system built by Belong comes into play. “Since it’s outbound, the shortlisted people do not really know the company is looking at hiring them. Hence they have to be wooed and excited. The engagement platform built by Belong is what enables companies to spot the right talent and then engage with them with a highly personalized approach,” explains Rishabh. This recommendation engine by Belong is different for every company. Hence once identified, the platform ranks potential hires according to their suitability for a role at a particular company. Companies can then kick-start engagement with candidates through personalized interactions backed by social insights. Meanwhile, as companies approve and reject suggestions, the machine learning algorithm also learns and fine-tunes the results, thereby reordering candidates. The SaaS-based startup monetizes through a subscription model where companies pay for the number of users who use the product or for specific modules such as a marketing module or an HR module. In general, the clients pay a fee to access the platform through an annual contract. Here Rishabh adds that the platform in its current shape is a DIY platform wherein all recruiters and hiring managers in the company login and use it independently, supported by hand-holding from the company when needed. 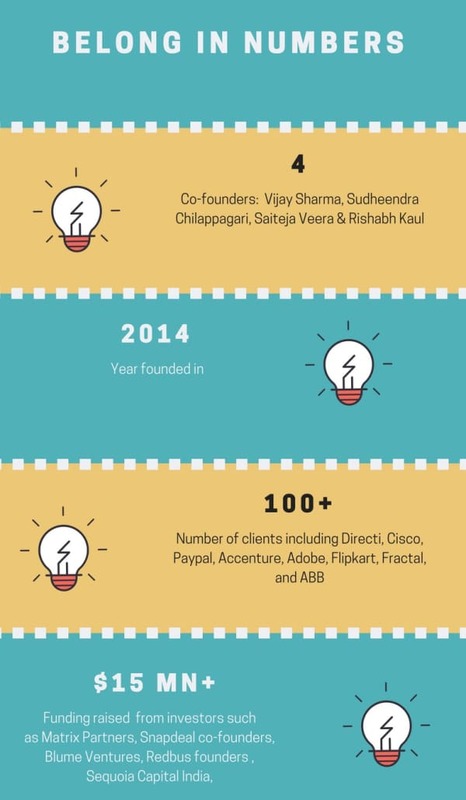 From its inception in 2014 to now, Belong has raised its client tally to over 100 clients. These include names like Directi, Cisco, Paypal, Accenture, Adobe, Flipkart, Fractal, and ABB among others. Most of the clients are internet technology companies. Besides snagging top Internet companies as clients, the startup has also picked up a considerable amount of funding along the way. In June 2015, the startup raised over $5 Mn in Series A funding from Matrix Partners, Snapdeal co-founders Kunal Bahl and Rohit Bansal along with its seed stage investors including Blume Ventures, Redbus founders Phanindra Sama and Raju Reddy of Sierra Atlantic. This was followed by a $10 Mn Series B funding in February 2017, led by Sequoia Capital India, with participation from existing investor Matrix Partners India. While funding is a reinforcement of the rise of outbound hiring, what exactly is Belong banking on to differentiate itself from other players? The online recruitment space which was earlier a monopoly of Naukri, Monster, Timesjobs, is being disrupted by newer players like HackerEarth, Param, HackerRank, among others. In this cut-throat space, personalization is what differentiates Belong from its competitors. That’s one differentiator which makes it more relevant. “If you go look at the database of prospects, whoever searches will see the same results. Whether a large IT company searches something or a young startup searches something, they will see the same order of people, which might not be relevant to them. So understanding that every company has its own unique kind of requirement is a differentiator,” explains Rishabh. Secondly, in today’s world organizations need to differentiate themselves as well. With the same standard tools such as a job board, how do you differentiate your company from another on a job posting? This is where Belong works with clients to get them to show how are they unique and thus help them engage better with candidates. What comes in handy here are the insights and data Belong has gathered which helps it to refine the company’s approach to engaging. For instance, insights such as the right time to send an email, how people from different places react to certain companies, people from which cities are more likely to move cities-is what Belong leverages for its clients. Moreover, these insights are getting better with time as AI and machine learning algorithms self-learn and improve. The free flow of data in today’s collaborative world will enable these systems to become better. Rishabh believes that it’s still very early days for outbound hiring, a lot that can be done. Typically the best hires come from referrals or they are people who are genuinely passionate about working in a particular company. So how do you increase the likelihood of that happening? For that, either you need systems which are able to understand data better and you need people and recruiters to be really proactive in the way they are looking for people. Ultimately, it boils down to making technology and algorithms better and getting the recruiters to develop a more evolved mindset. And this is what Belong is focusing on simultaneously-investing more in technology to improve the process metric and spend time with recruiters to invest in themselves. 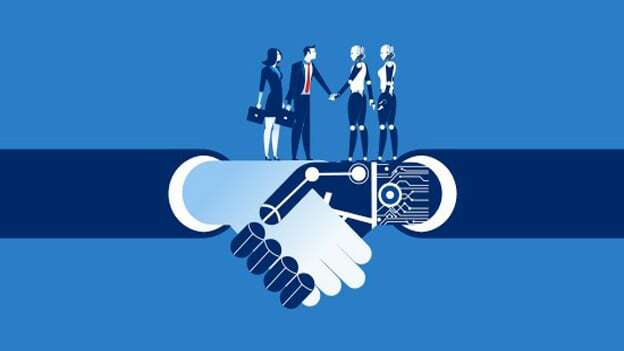 The challenge for it how fast can it change the traditional mindset towards hiring and how better its technology can get over time to stay ahead of incumbents. Belong is a Diamond Partner at People Matters TechHR 2018. Click here to register.